One of the biggest problems my blog coaching students face is that they want to figure out how to get traffic to their website for free, and I’m assuming you can relate as well. While using paid advertising can be a good way to drive traffic to your website, ads are costly and can be confusing to run on your own, so as a blogger or small business, it’s really important that you know how to get traffic to your website for free! In today’s post, I’m going to help you understand how to get traffic to your website for free, so you don’t need to rely on any paid ads! There are many different social media platforms you can use to get traffic to your website for free. Depending on who your reader or customer is will determine what social platform you should be hanging out on. You might even already using social media to try and drive traffic back to your website, but how do you know what’s working and what’s not? I recommend monitoring it, which is incredibly easy to do! After all, there’s no point spending hours of your day trying to get traffic from a social platform if it’s just not delivering for you. Your first step is to make sure you have Google Analytics set up. At the bottom, you can see that it says “Last 7 Days” and “Acquisition Report”. You can change the timeframe by changing from the past week to something else. I recommend looking at something such as the last 30 days so you can get a more accurate view of your data! Once you change the timeframe, click on “Acquisition Report. This will bring you to a screen that will break down your traffic even more. From there, click onto “social”. This will show you the number of visitors broken down by social network. From here you’ll be able to see what social networks are bringing you the most traffic and which ones aren’t. Knowing this can help you identify where your time is best spent! SEO is another incredible way to get traffic to your website for free. This year, Facebook and Instagram have both had a couple of major glitches that have spread wide panic across the social sphere. While these glitches were annoying, they are a reminder that as business owners and bloggers, we need to be diversifying our traffic. It’s dangerous and a disservice to your website to rely on only one source of traffic! Search Engine Optimization (SEO) is another great area to focus on! First of all, it’s free traffic. Second of all, unlike social media, it’s passive traffic. In other words, you don’t need to be posting updates, stories or statuses for SEO to work. It just works when you know what you’re doing! 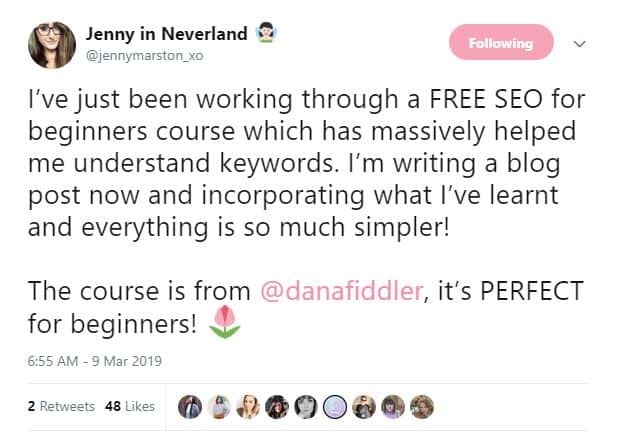 I created a free SEO course that has gotten raving reviews from both small businesses and bloggers. When someone goes onto Google, they are looking to solve their problems. This is known as inbound marketing, which is by definition, drawing readers to your blog. The opposite of inbound marketing is outbound marketing, which is pushing your content out and hoping you get readers. Inbound marketing results in more email subscribers, more sales and more targeted traffic. Essentially, you don’t want to ignore inbound marketing strategies such as SEO and Pinterest, which brings me to my next point! 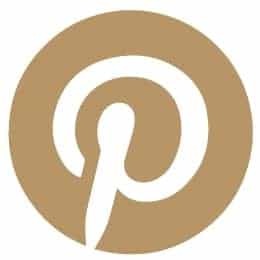 Pinterest is another magical platform that has always been great to bloggers and small businesses alike for sending traffic. I didn’t group Pinterest up with social media platforms because it’s not actually a social platform. Pinterest is more of a search engine! 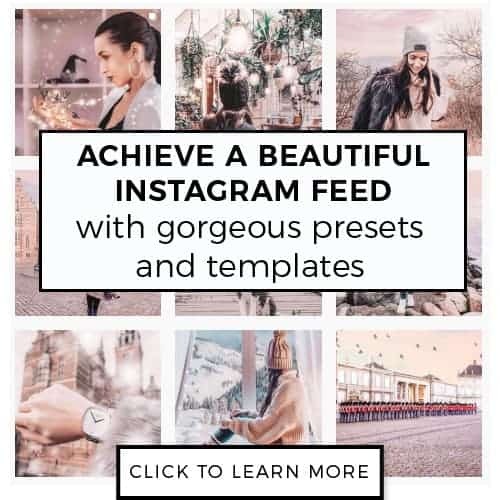 Within three months of implementing a Pinterest marketing strategy for this blog, I saw an 800% increase in referral traffic from Pinterest alone. Meagan Williamson offers up an incredible Pinterest program (and it’s affordable) for those looking to learn more about Pinterest, which I highly recommend checking out. In order to get free traffic to your website, you will need some sort of way to communicate with your audience on a consistent basis. While building a social following is great for business (social proof is real), you don’t actually own any of those followers and it’s not the best way to get in touch with them. This year, Instagram had a glitch in which people lost thousands of followers. Sure, they got them back, but that’s not the point. The point is that that can happen and if social media is your only point of contact with your audience, you could lose everything. That thought stresses me the heck out! If you haven’t started an email list, here’s your reminder to do! Check out my post on how to build an email list from scratch to get you started. I love guest posting. Guest posting is when you write a post and it gets published on another website. Not only does guest posting drive traffic back to your website, it gives you backlinks, which helps grow your website’s authority so you can rank higher in the search results. 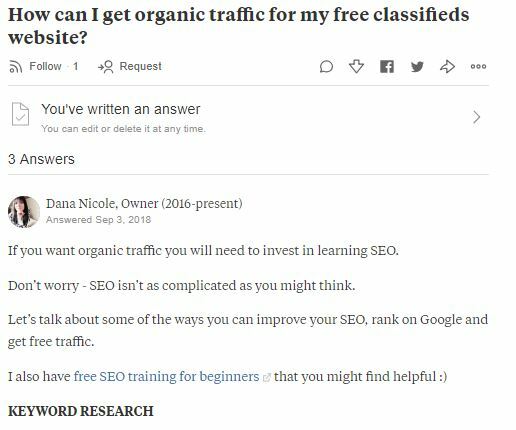 Backlinks are very important (if you sign up for my free SEO workshop you’ll learn all about them)! If you haven’t tried guest posting to get traffic to your website for free, I recommend doing so! Alternatively, you can invite other’s to post on your blog! When you feature someone else, they will likely share their post with their own audience, getting your website seen by an entirely new segment of your readers. 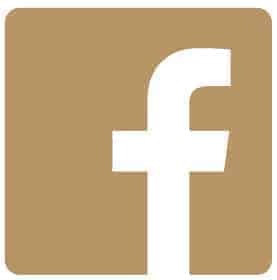 Facebook is a goldmine for finding your audience and driving traffic to your website for free. Facebook groups are a dime a dozen and with so many to choose from, you’ll be able to interact with your audience on a daily basis. And I don’t mean that you should join a Facebook group with other bloggers (unless your audience is bloggers). I have my own Facebook group where we like to connect women business owners and bloggers so we can learn and grow with one another. But it’s not the group to join if you are looking to interact with your audience and your readers! For example, if you are a food blogger who caters to busy moms, join a mom group! Don’t join a group with childless millennial bloggers who aren’t going to read your content. When you join groups, people will ask questions and you’ll get your chance to answer their questions by linking to one of your blog posts. It’s a much better strategy than participating in follow-trains and comment-threads and will provide better quality traffic! When you already have traffic on your website, you can increase the number of pageviews you get by including links to other blog posts within your own content. 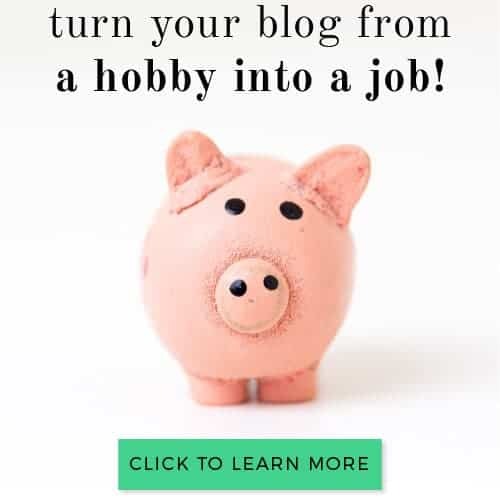 As you’re reading this article, you’ve probably noticed that I’ve linked to other blog posts of mine, such as my Pinterest marketing post, my free SEO training and a couple of others. Those are internal links and they help me get more pageviews! Think Quora, Reddit and Yahoo Answers. These are all excellent places where you can go answer questions and leave a link to your blog post if it provides additional information that may help the person asking a question. You can see how I linked my free SEO training in there, which has brought my website free traffic AND free leads! 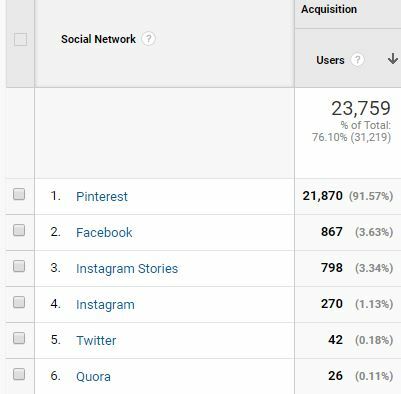 Neil Patel has an awesome article on how you can get nearly 10,000 visitors each month from Quora. If you enjoy writing semi-long-form responses and helping people out, give this strategy a try! When I first started my blog, my goal was to be as faceless as possible. I dreaded attending networking events and figured I could get by 100% on my own, sitting behind my laptop all day. 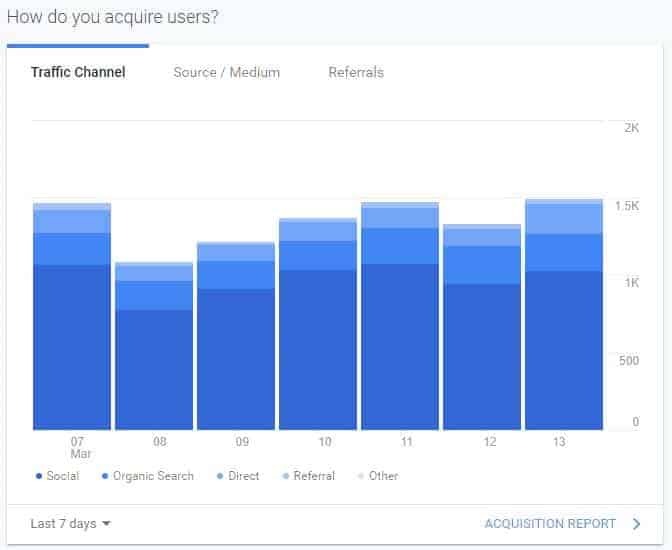 But after a year of stagnant growth (I hardly got any traffic my first year blogging, just take a look at how that blue line is hugging the “0” users mark) I knew it was time to put myself out there a little bit more. This is where blogging groups for bloggers can come in handy. There are a plethora of likeminded bloggers who are looking to be your friend! Not only that, if you have a similar audience, consider sharing one another’s content because of #communityovercompetition. Leaving insightful and meaningful comments on bigger websites can help drive traffic back to your own website. If I click on Heather’s name, it brings me back to her website. If you can leave insightful comments that begin an interesting dialogue or catches people’s interest, you can definitely drive some traffic back to your own content. One common roadblock I see with bloggers and small business owners is that they get caught up on one-platform and stop focusing on all other areas of traffic. If you rely on one source of traffic, you’re doing your business a disservice. 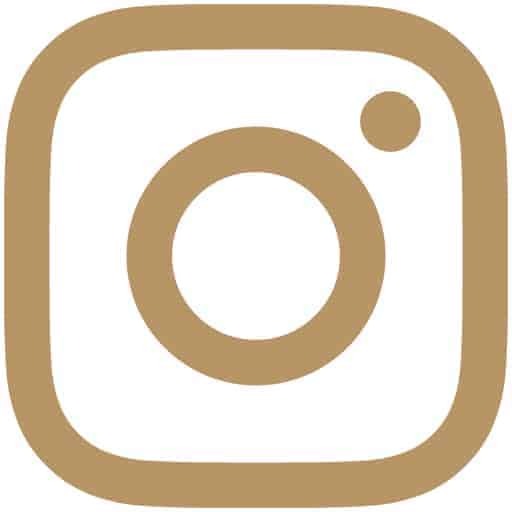 Yesterday, Instagram glitched for the second time in a month and businesses and bloggers all over the world were panicking. Their traffic went down, they weren’t able to communicate with their audience and as a result, their profits suffered. That’s a horrible corner to back yourself in, don’t you think? When it comes to the up-and-down nature of running a business or blog online, it’s important to diversify where your traffic is coming from! Ask yourself: how much trouble would I be in if one of the big social media platforms shut down. If you answer, “my business would basically be gone” then you need to start diversifying your traffic – pronto! If you liked this article, I’d love a social share! Sharing helps me continue to create free content for you to enjoy.